May is always a hot time for students in their final year at Belarusian universities. They have to prepare for their final exams, finish their papers and start thinking about graduation ball dresses. But besides that, nearly a third of the graduating students around the country have to worry about their first-job mandatory placement. These are the so-called “budget students” who study free of charge. The state demands that they work for two years wherever the authorities may send them after graduation. Mandatory placement is supposed to give the state powers to distribute young labour force effectively. In reality, it fails to accomplish this goal. Mandatory placement breeds corruption and produces serious collateral damage. As a result, more and more young Belarusians decide to study abroad. The situation can hardly improve unless the government liberalises education and the labour market. What is First-Job Mandatory Placement? Belarus inherited the system of mandatory work placement from the Soviet Union. Then it served as an organic part of the command economy with central planning. Communist ideologues wanted to plan and control all economic activities in the country. For that they also needed to educate a certain number of professionals in different fields and distribute them according to the general plan. Thus, all young specialists had to start their careers where the government sent them upon graduation. After the collapse of the USSR, first-job mandatory placement survived in Belarus as optional for university graduates but the authorities did not enforce it everywhere. However, at the beginning of the 2000s they decided to restore the system. In those days the main argument was the need to tackle the huge deficit of professionals in small towns and rural areas. The absolute majority of university graduates chose to stay in Minsk or other big cities after they received their diplomas. The supporters of the idea believed that a revived mandatory placement would help solve the problem. However, there is one major difference with the experience of the USSR. In the Soviet times all universities taught their students free of charge. But after Belarus gained independence more and more universities started to introduce “commercial places” for students alongside with “budget places”. A number of private universities also emerged: today there are 45 state and 10 private universities in Belarus. Despite the myth of free education in Belarus, the majority of Belarusian students now pay for their education from their own pocket. In 2011, out of the 107,000 first year students about 70,000 were self-funded. And their number is growing. Of course, the state cannot dictate to such students where to work after graduation. That is why the system of mandatory placement applies to “budget students” and only in exceptional cases to self-funding students. A decade after the reintroduction of mandatory work placement it is obvious that the system is highly ineffective. The depopulation of rural areas, which mandatory placement aims to prevent, continues at a bewildering pace. According to the National Statistics Agency, in the last 10 years the population of almost all rural areas and small towns has decreased, while the population of cities and big towns has grown. The main reason is the difference in the living standards. And the system of mandatory work placement is unable to break the trend. In the majority of cases graduates who go to work in rural areas leave after two years of obligatory work there. Besides, the system of first-job mandatory placement contributes to breeding corruption. As no one wants to work in rural areas, graduates and their parents try to find ways to stay in Minsk or, at least, in one of the regional centres. Sometimes the only way to do that is to bribe officials or employers. Employers also suffer from this system. Under Belarusian law, once they offer jobs to recent graduates it is very difficult to fire them even if they manifestly fail to properly perform their duties. Therefore, most employers try to avoid hiring such young specialists. One of the collateral effects of this avoidance is that it is extremely difficult for young people to find a job without a previous two year-long professional experience. A growing number of Belarusian families choose one of the two pragmatic options to avoid the communist-style mandatory placement. The first option is to pay university fees from their own pockets. However, this option has become problematic for a large part of the population as the universities increased fees after the dramatic devaluation of the Belarusian rouble in 2011. The second option is to leave Belarus and study abroad. According to the Global Education Digest 2010, in 2008 around 15,000 Belarusian students preferred not to study in their own country. Most of them – nearly 8,500 – went to Russia. Other popular destinations included Germany, Poland and Lithuania. About 1,500 students from Belarus went to each of these countries. For the same economic reasons this option is also burdensome for most families – not only do they have to pay their fees, but also living expenses in a foreign country. Unfortunately, very few programmes provide Belarusian citizens with full scholarships to study abroad. The authorities are now trying to alleviate the problem of mandatory placement. Last year a new Education Code entered into force. One of its novelties is that upon graduation “budget students” can pay back the money that the state spent on their degree. In this case graduates are free to work where they want. The government also decreases the number of “budget places” in certain programmes that, in its opinion, are not needed in the labour market. For example, this year they cut the state financing of economic and legal programmes. But these are all superficial measures. They really need to do away with the remnants of communism in Belarusian education and the labour market. Graduates should be free to work where they choose and employers to hire whom they deem suitable and without excessive paperwork. Otherwise, the gap between the universities and labour market in Belarus will only grow bigger. International agency Standard&Poors in April increased Belarus' credit rating from B- (negative) to B (stable). The agency i observed the signs of financial stabilisation in Belarus economy. Although inflation is still very high, it began to slow down, the pressure on devaluation of Belarus ruble decreased and foreign reserves increased. Just in September 2011 Standard&Poors reduced Belarus sovereign rating from B to B- due to its foreign currency crisis which started in March of that year. Even though the stabilisation measures were undertaken in Belarus' economy, the question remains – for how long will the stability last and what factors can undermine it? At the end of February Belarus was supposed to receive the third tranche of the loan ($440m) from the Eurasian Anti-Crisis Fund, but it did not come. The fund management explained that it wants to be sure that Belarus continues to implement tight monetary policy and finally starts the process of privatisation. According to the terms of the loan agreement, approved in June 2011, Belarus has to cut monetary financing of state programmes to a maximum 4% of its GDP. The government had actually cut the financing of these programmes, but it is still at a level of above 4.5% of GDP, as seen in the statistics for 2011. And the Fund’s representative states that it is still too high an indicator. Another condition – the privatisation of state property has not even started. Belarus has to privatise state enterprises to an amount that will total of $2.5bn this year. The concerns of the Eurasian fund leadership about the macroeconomic stability of Belarus' economy are justified. 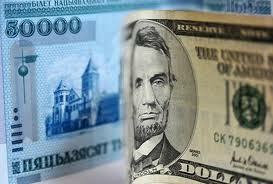 The Belarusian government has again started to mention a monthly salary increase target of $500. This is a minimum level which has to be reached this year. It is not an entirely unexpected rhetoric before parliamentary elections which are to be held in September later this year. The trend in salary increases over the past 17 years indicates that substantial increase occurs mainly before important political events (elections or referendums). The $500 average salary reached by monetary measures (money printing) before presidential elections at the end of 2010 became a trigger for the foreign currency crisis which started in March 2011. It led to the threefold devaluation of Belarusian ruble and hyperinflation that reached 108.7% at the end of 2011. It eventually resulted in a decrease of the average salary to only $250. But since then the Belarusian government has been able to stabilise the economy to some extent. The sale of the last part of the gas transportation company Beltransgaz to Gazprom in December 2011 brought Belarus another $2.5bn and more advantageous prices for gas. In 2011 Belarus paid $265 per 1000 m3 of gas, but in 2012 the average price will be only $165.6. Thanks to this deal its rather poor foreign currency reserves increased from $4.631m (in November 2011) to $7.355.1m (in December 2011). At the moment the total foreign currency reserves consist of $8.085m (April 2012). This gives the government the opportunity to intervene on the foreign currency market and regulate the exchange rate if necessary. Another positive impact on Belarus' economy was its increase in export of oil products during 2011. As a part of Common Economic Area and Custom Union from 2011 Belarus government was able to negotiate duty free supply of crude oil to Belarusian refineries. According to trade statistics Belarusian exports increased by 62.6% in 2011 and amounted to $41.1bn. In January – February 2012 Belarus was even able to reach a trade surplus to the amount of $838.6m. Two thirds of the export is generated by oil products, and it increased by 39.2% to 15.6m tons in 2011. From this 12.3m tons were sold to the European Union. The trade surplus with European countries was $6.5m. Exports in this direction in general increased from 29% in 2010 to 38.5% from 2011. At the time when diplomatic relations with European Union are on the worst possible level since Belarus' independence, trade statistics indicate that it remains one of the main economic partners for Belarus and export market for Belarusian oil products. A positive trend can be observed and with Belarusian ruble which stabilised and even appreciated in March this year. Stabilisation of its exchange rate came as a result of tight monetary policy and very high refinancing rates – at the end of 2011 it was 45%. That was a necessary measure to cope with inflation, but it has obviously paralysed the lending market as commercial banks derive their interest rates from the refinancing rate set up by National Bank. But the stability of exchange rate will not last long if the government continues to stimulate economic growth by monetary measures. In a few months the seeding period in agriculture will begin and it is at this time when Belarus government usually infuses money into this sector through preferential loans. As a result, the money supply increases and creates pressure on the Belarusian ruble's devaluation and leads to an increase in inflation. Beginning in February the government began to decrease the refinancing rate – first to 43%, then to 38% (in March) and to 36% (in April). It should be reduced to 19-20% till the end of the year. In a competitive and efficient economic system the refinancing rate normally should not be higher than 10%. But in Belarus any achieved macroeconomic stability is not accompanied by the necessary reforms to increase the competitiveness of the economy. In this case the risk of the Belarusian ruble's devaluation and high inflation still remains. The Belarusian government plans to reach 5-5.5% GDP growth this year and maintain inflation at 19-22%. But according to IMF and World Bank experts these results can hardly be reached. In its recent analysis of Belarus' economy, the World Bank forecasted 38% inflation to the end of the year and a GDP growth of not more than 4.5%. The present stability of Belarus' economy has been achieved mainly by foreign borrowing, lower energy prices and positive trends in oil exports. Instead of implementing real reforms Belarus' government continues to seek external financing. The foreign debt has already reached $34bn, or 62% of the GPD. It increased by 19.8% from last year. This year Belarus has to pay off $1.2bn in interest for external debts and another $3bn of its other main external debt – which comes is amount that is half of its current foreign currency reserves. The head of National Bank of Belarus Nadezhda Ermakova has already announced that Belarus would apply again to the IMF for another stabilisation loan. But it is very unlikely that the fund would agree for another program with Belarus. The official representative Natalia Kolyadina left Belarus at the beginning of April. She noted that IMF will not start any new programs with Belarus' government before the considerable steps in reforming the present economic system are be made. The presence of political prisoners and rather tight diplomatic relations with the European Union is also a serious obstacle for another IMF stand-by loan. The rather fragile stability of Belarus' economy can be easily undermined if the government attempts to reach high economic growth with monetary tools instead of reforms. If this happens, Belarus can fall even into an even more severe crisis, one from which it would be even harder to get out of. The recent delay of the third tranche of loans from the Eurasian fund only indicates that even Russia is also no longer eager to support Belarus' economy in the absence of real reforms.